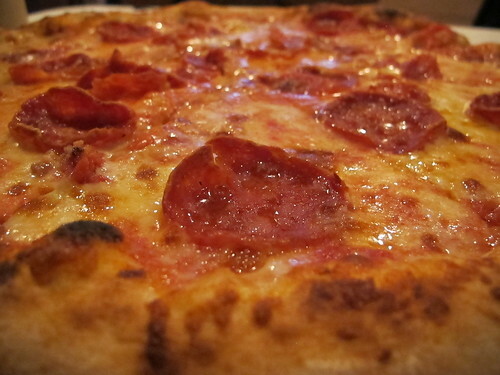 It’s time for the latest installment of Pizza in Atlanta. In this episode, we found ourselves on Piedmont Road where Mounir Barhoumi and Salem Makhlouf, owners of La Fourchette, have added a Neapolitan-style pizza parlor to the same building as their bistro. With favorable preliminary findings from Foodie Buddha and Eat It, Atlanta, I was happy to endure a short wait for pizza at the La Fourchette bar. Drinks finished and the novelty of salad served on a peel wearing thin, it was time to pick out a few pizzas. Saving the white pizzas for a later date, the relatively plain Romana was our first pizza. Topped with little more than San Marzano tomato, garlic, oregano, and extra virgin olive oil, the Romana seemed like the perfect opportunity to let the crust either sink or swim. A thin but bright tomato sauce was well complimented by the pungency of garlic and herby oregano. 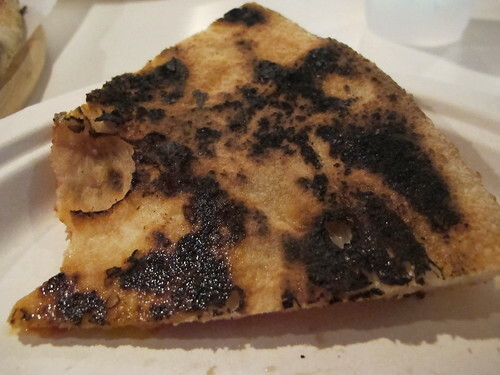 While the thick on the rim, thin in the middle crust featured a well-charred underbelly, the flavor wasn’t as fully developed as I was expecting. 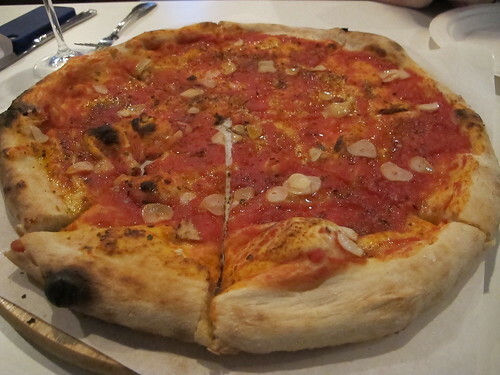 Looking to satisfy our urges for spiciness, a Calabrese finished our first meal at Tartuffo. 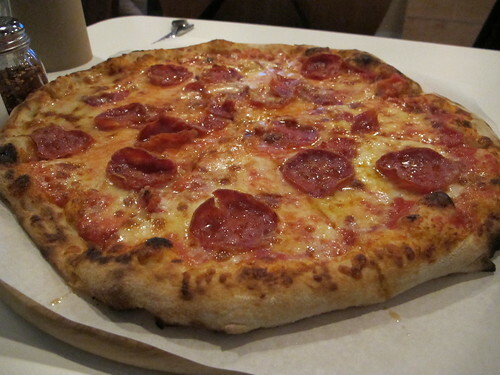 Aside from the toppings, this pizza has a thicker, slightly soggier crust than the first. The thin slices of spicy salami packed the necessary zip of heat, but I was missing the pepperonata peppers that I’ve come to enjoy on so many other Atlanta pizzas. Satisfying but not spectacular pizzas are all well and good, but where does this leave Tartufo in a city that is spoiled for pizza? If anything Tartufo was in a class of its own for its Buckhead location (prior to the opening of Fuoco di Napoli), but I’m afraid there just isn’t enough to make Tartufo stand out from the crowd. 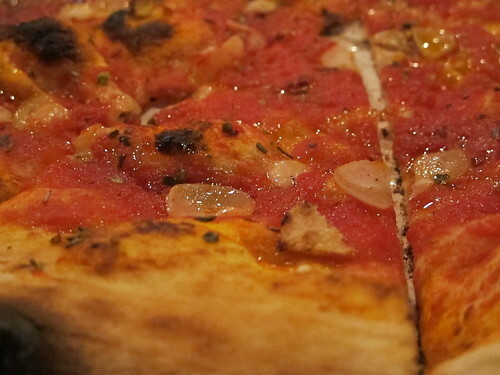 That being said, while I may still claim Antico and Cibo e Beve as two of my favorite pizzas in Atlanta if I need a quality pizza in the heart of Buckhead, Tartufo is a fine choice.